Sorry this isn’t a ramen recipe, but I wanted to show you if you have extra pasta dough you can make some ramen noodles! 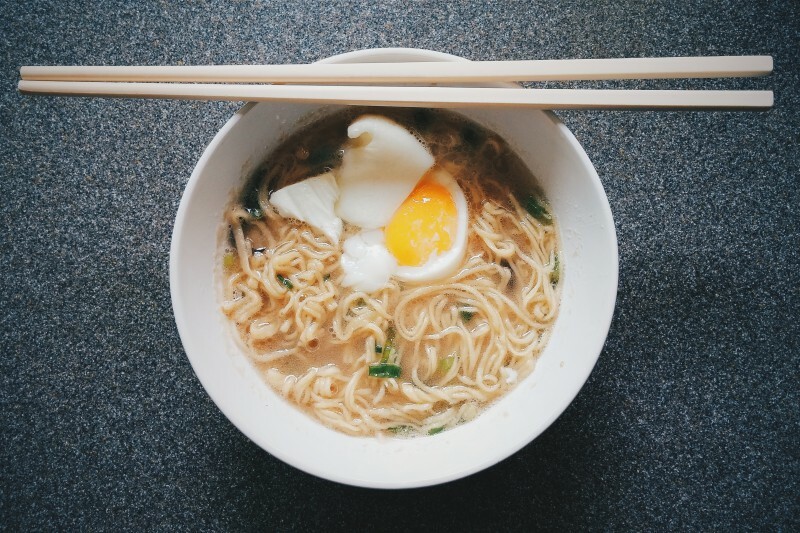 Step up your left over ramen with fresh noodles instead of dry ramen…or top ramen noodles. Not that that is a problem, no judgement yo…you work with what you have. Make the ball of dough, rest for 1 hour, and roll out! You can roll out and cut the pasta yourself (don’t be afraid to use a bunch of flour! It will keep the noodles from sticking), or use the pasta maker’s taglierini attachment. …or you can make real ramen noodles which I haven’t learned yet. Next best thing is repurposed pasta dough whoot!